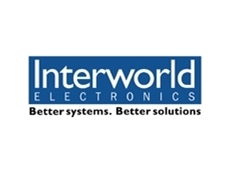 Interworld Electronics announces the addition of the ENVIROMUX-5D-IND high temperature industrial environmental monitor to Network Technologies’ popular ENVIROMUX-5D advanced server environment monitoring system. The new ENVIROMUX-5D-IND extends the temperature sensor range to cover 0 to 80°C. Utilising sensors to monitor critical environmental and security conditions, ENVIROMUX-5D-IND notifies system administrators via email, alarm beacon, front panel LED indicators, web page notification, network management (SNMP) software or SMS (via external GSM or 3G modem) when an environmental sensor goes out of range of a configurable threshold or a security sensor is triggered. 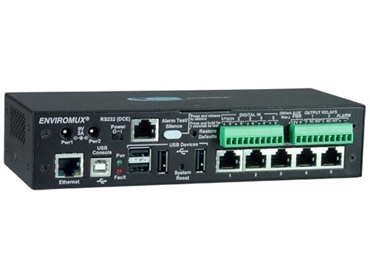 The ENVIROMUX-5D-IND provides two internal sensors for temperature and humidity, five RJ45 ports for connecting external sensors, five digital (dry contact) inputs and two relay outputs. Environmental sensors include Air, Duct and Pipe Temperature Sensors, Humidity Sensors, Liquid/Water Sensors and Smoke Detectors. Security sensors include a range of Power, Motion, Vibration and Intrusion Detectors. 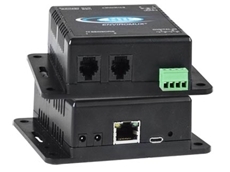 The ENVIROMUX-5D-IND industrial environmental monitoring system can monitor up to 64 IP addresses to determine if critical server or network equipment is operational. IP surveillance cameras can be viewed simultaneously via a web interface and event-triggered IP camera snapshots can be sent via email. Two USB ports allow the system to send alerts via a USB 3G modem or download log data to a USB drive. Powered via a 240VAC power adapter, the ENVIROMUX-5D-IND environmental monitor is also supplied with an optional rechargeable SLA battery to provide back-up power for two hours.